From the editor: Today’s cyber savvy grandparents want to keep up with all the latest technology, but it can be pretty overwhelming, so when we find an exceptional technology solution, we want to share it with you. We were recently introduced to Cocoon Cam, the first ever no-wearable baby breathing monitor with HD video and streaming audio. Every new parent (and even grandparents) has been there—you put your baby down to sleep and you are backchecking on them every five minutes to make sure they are still breathing. With a recent study by the Safe the Sleep Campaign revealing that most mothers at one time or another put their babies to sleep in potentially dangerous positions (not on their backs). No parent is perfect and with little missteps, wouldn’t it be great if you could check on your baby AND their breathing from your phone? Cocoon Cam is more than just a video baby monitor—it connects to your smartphone or tablet and uses cutting-edge computer vision technology to deliver breathing monitoring, instant alerts, and sophisticated sleep analytics. The computer vision allows you to monitor your baby without any wearables or mats. The proprietary technology was developed with the help of doctors and has been validated in IRB-approved studies at UC San Diego and the NICU at Lucile Packard Children’s Hospital Stanford. The HD video camera captures video of your baby at up to 30 frames per second and the software can detect exactly where in the crib the baby is located evaluating the video signal on a pixel-by-pixel basis in the baby’s chest and abdominal areas. Cocoon Cam provides parents with a real-time breathing graph displayed on their smartphone or tablet and Instant Alerts directly to their device if they sense something has changed or requires attention. Because Cocoon Cam uses non-contact, non-invasive technology, there are no potentially harmful rays or signals pointed at the baby. 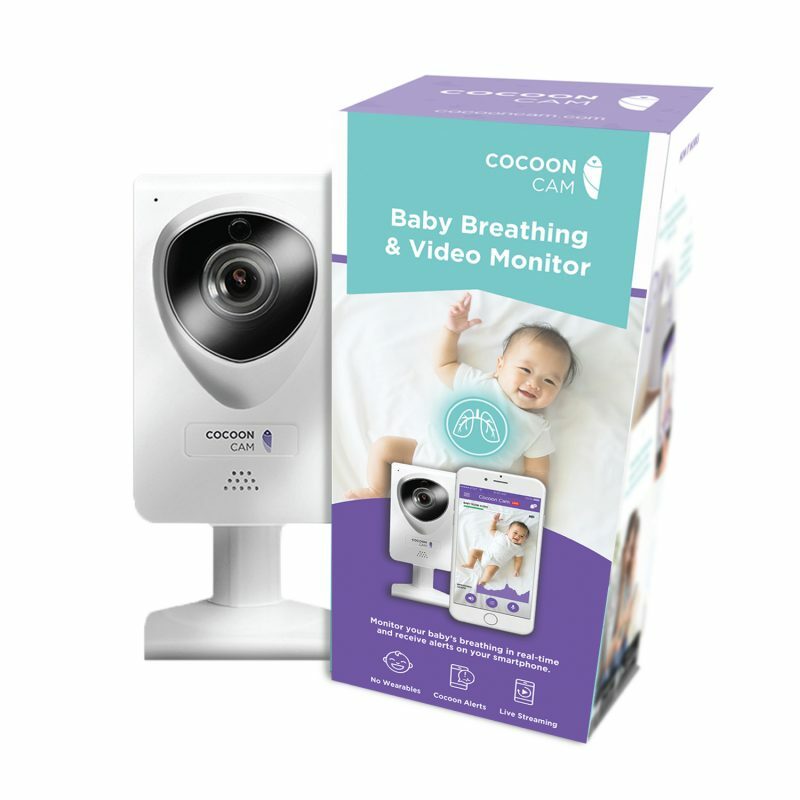 Cocoon Cam is the most advanced baby monitor in the world. More than just a video monitor, Cocoon Cam connects to your smartphone or tablet and uses cutting-edge computer vision technology to deliver hospital-level breathing monitoring, instant alerts, and sophisticated sleep analytics.